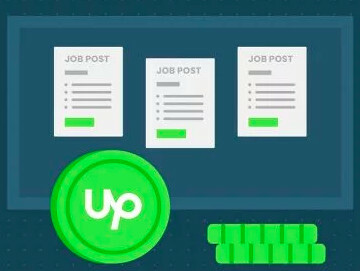 At Upwork we’re dedicated to providing freelancers all over the world with fast, cost-effective, and convenient options for withdrawing their earnings. That’s why we’re excited to introduce a few updates to the payment methods we offer. * If you are located in the U.S. these changes won’t affect you. ACH Direct Deposit, PayPal and Wire Transfer will continue to be available to you at current rates. Below is a brief summary of the changes. If you want to see what payment options are available to you today, click “Add a Payment Method” in the “Get Paid” section of your Upwork account (under “Settings”). #1 - Expanding Direct to Local Bank (formerly known as Local Funds Transfer) availability. This payment method is currently available in several countries and known as Local Funds Transfer. We’re changing the name to “Direct to Local Bank” and launching it in more countries. For many, this will be the quickest and least expensive way to get paid because the cost per payment is only $0.99. If you’re using this method today, at a higher cost, you’ll see this fee reduced to $0.99 as well. Since the transfer is done using each country’s local network, incoming bank fees are usually reduced or eliminated. For more information see FAQs below and this help article. 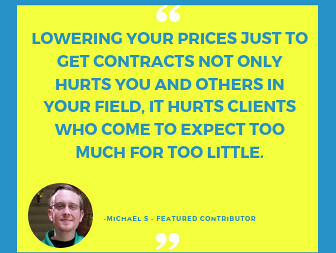 #2 - Changing costs for using PayPal. Transfers to PayPal will increase from $1 to $2 for most users. For more information see FAQs below and help article for PayPal. 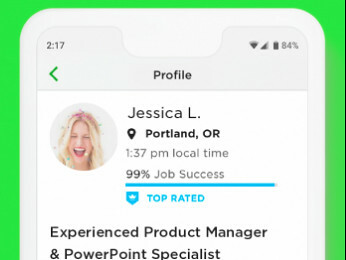 #3 - Removing Skrill as a payment option on Upwork. Skrill will be removed as a withdrawal method on Upwork. After a thorough review, we’ve determined that Skrill’s product offering and customer support to our community do not consistently meet the standards we require of our payment partners. For example, Skrill’s sudden decision to remove their debit card service from certain countries have left many freelancers without adequate support. We apologize for any inconvenience this causes you. Freelancers who are currently using Skrill will be notified and will have 60 days to choose an alternative payment method among those available in their country. #4 - Making M-Pesa available to freelancers in Kenya. Freelancers in Kenya will now be able to use a new payment method, M-Pesa. It’s something many Kenyan freelancers have asked for and we are excited to offer this option to them. Why are you changing the name from Local Funds Transfer to Direct to Local Bank? We surveyed a number of freelancers and discovered that the current name is confusing and doesn’t clearly describe this method. That’s why we’re re-naming “Local Funds Transfer” to “Direct to Local Bank,” the term that freelancers themselves used to describe this payment method. What are the conversion rates used for Direct to Local Bank? How long will it take for funds to arrive in my bank account with Direct to Local Bank? You should receive your funds in your bank account within one to four business days but note that bank holidays or waiting periods imposed by banks can cause some delays. We are happy to trace a missing payment for you at no charge, but you must wait eight full business days to initiate the trace. To request a trace, please contact us via customer support. Does PayPal work in my country? Please, confirm with PayPal to make sure your country is supported. What are the fee(s) to use a Payoneer debit card? There are fees involved in using Payoneer. To learn about those specifically, please click here. Please note: These fees are only valid for users who apply for a Payoneer Debit MasterCard through our site. Fees may vary if you use an existing Payoneer card or apply directly through the Payoneer site. Why are you removing Skrill as a payment option? We regularly evaluate payment options used on Upwork. In doing so, we found Skrill did not meet our expectations, nor those of many freelancers on Upwork who’ve had experience with Skrill. Their product offering and customer support to our community do not consistently meet the standards we require of our payment partners. Is Direct to Local Bank offered in my Country? Sad to see Skrill go. But the 7.5% fee is outrageous. "Direct to Local Bank" and "Wire Transfer" are different methods right? Would be great to have a 0.99$ way to send earnings to Ukrainian banks. Yes, Direct to Local Bank and U.S. Dollar Wire Transfer are different. With Direct to Local Bank Transfer the freelancer received their earnings in their local currency to their bank account. With U.S Dollar Wire Transfer the freelancer receives their earnings in U.S. dollars. You can see which payment methods are available to you by logging into your account, clicking on “Settings,” then “Get Paid,” and choosing “Add a Payment Method.” All of your options will be listed there. But if I have US account at my local bank - can I set US account instead of account with Local currency? Yes, you can opt for setting up a Wire Transfer withdrawal method in that case. >>if I have US account at my local bank - can I set US account instead of account with Local currency? >>>>Yes, you can opt for setting up a Wire Transfer withdrawal method in that case. Wire transfer costs 30$, but Local Bank transfer is 1$, as I understand. If my Local bank is in Russia - should I use account only in RUB, or I can set up USD account in my local bank?.. If you use Direct to Local Bank, you need to use an account in your local currency and you'll receive the money in your local currency. Nothing restricts you from setting up USD-account or any other account. But notice that DLT will send you rubles, which will be then automatically converted to USD. So you will loose twice - when converting dollars to rubles at upwork side and then again when converting them back to dollars at your bank side. It's much more profitable to send dollars via Wire Transfer, when you send big amounts like 3000$. >>Nothing restricts you from setting up USD-account or any other account. But notice that DLT will send you rubles, which will be then automatically converted to USD. So you will loose twice - when converting dollars to rubles at upwork side and then again when converting them back to dollars at your bank side. Aahh.. Thank You much for reply, Ilya! Now I've inderstood.